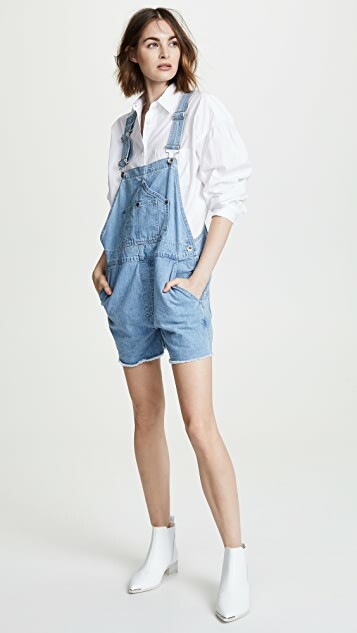 Tired of the same old cutoff jeans? 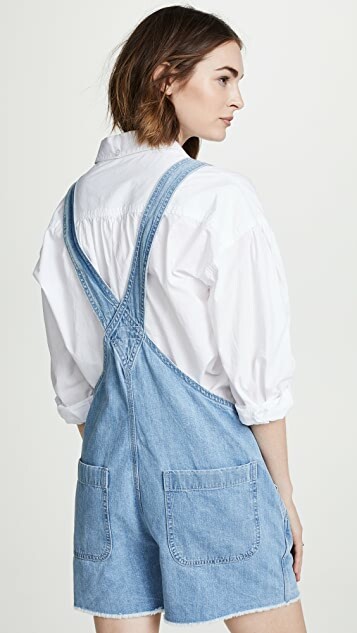 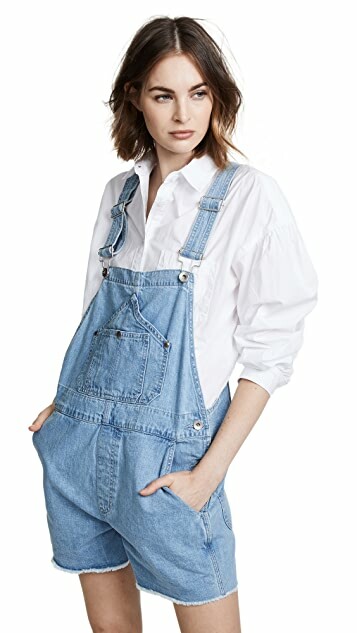 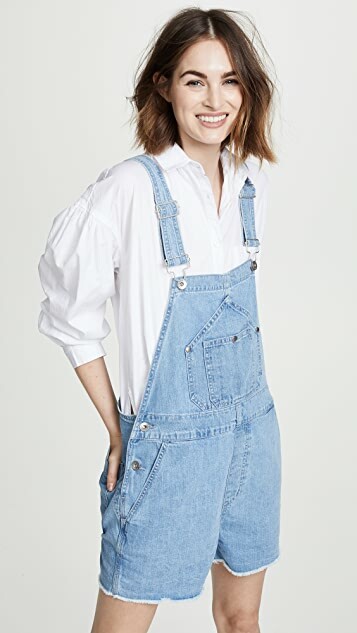 These Rag & Bone/JEAN short overalls are the solution! 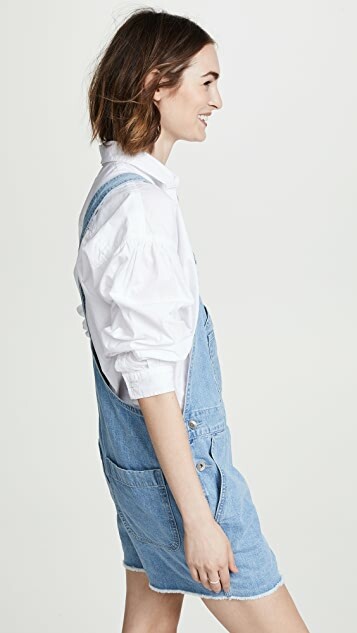 Soft denim and fraying ensures you have a chill yet standout look.